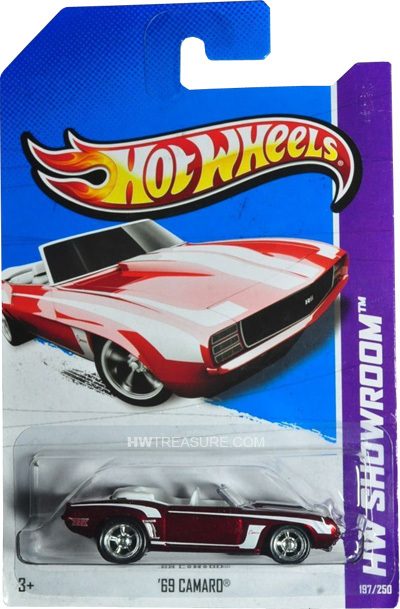 197/250 is part of the HW Showroom series and the 2013 Super Treasure Hunt set. The Spectraflame red Camaro sports white stripes on the top and sides as well as “TH” and “Camaro” on the sides. It has a clear windshield, white interior, Real Rider 5-spoke mag-style wheels, and a black Malaysia base. The convertible debuted in the 2006 First Editions series and is based upon the actual car.